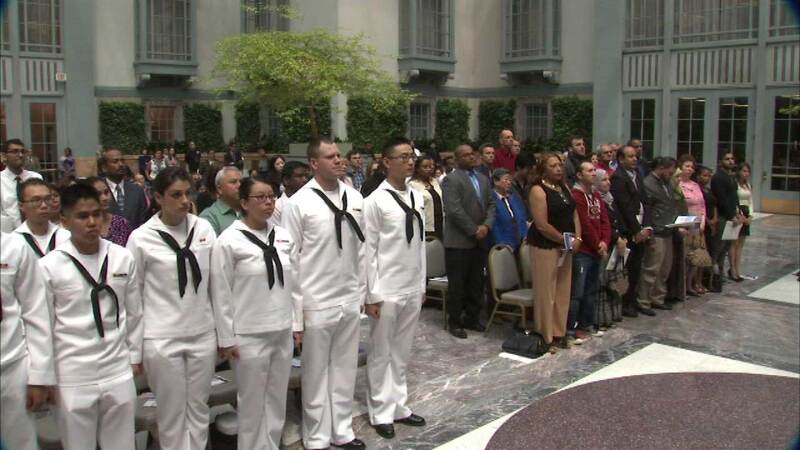 CHICAGO (WLS) -- Dozens of people of people will have a very special reason to celebrate this Fourth of July - they are now United States citizens. They took the oath of citizenship Wednesday during a naturalization ceremony at the Harold Washington Library. Following the oath, they all recited the Pledge of Allegiance.